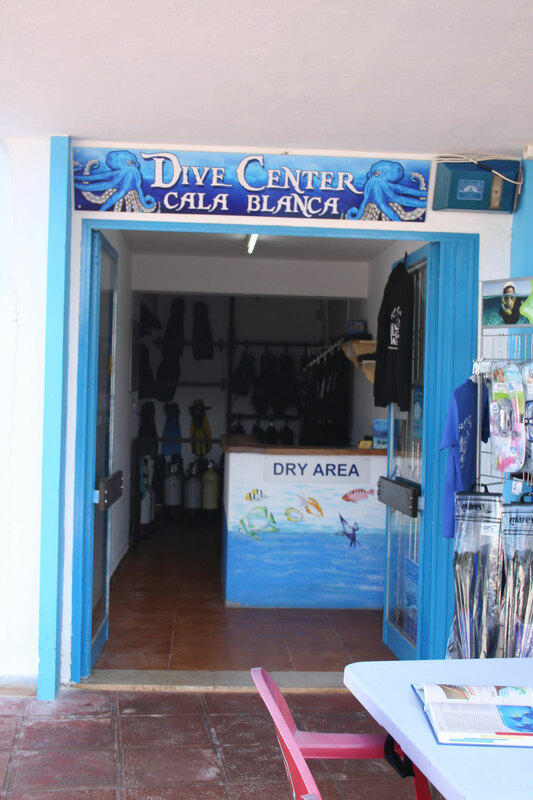 Situated on the beautiful island of Menorca, Dive Center Cala Blanca is the ideal location on the west coast for all your diving needs. Located on the rocks of the bay of Cala Blanca we have a house reef on our doorstep! 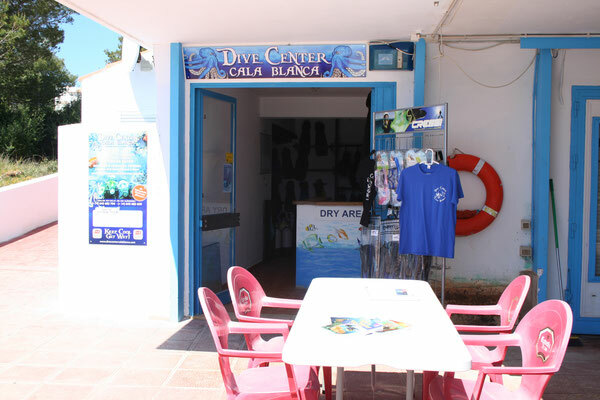 The Dive Center is overlooking the beautiful bay with crystal clear waters. Dive Center Cala Blanca has been there for over 25 years and is now managed by a Dutch-Austrian dive instructor couple. 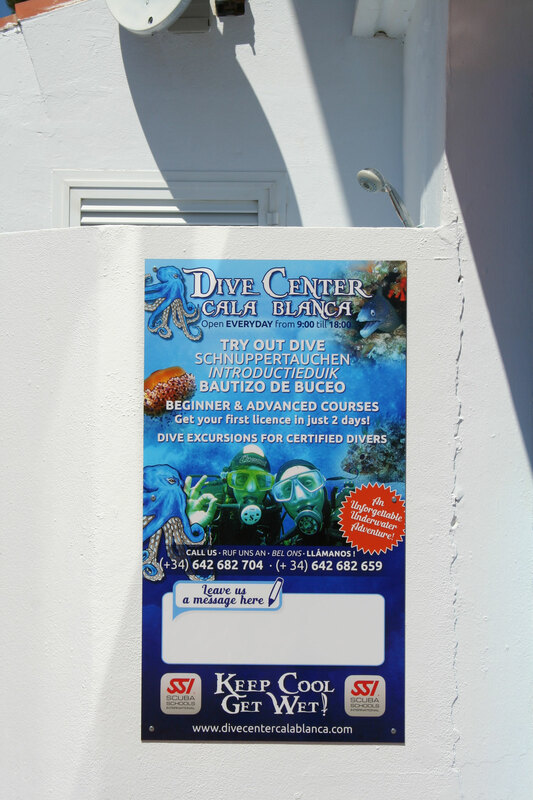 For some unique underwater impressions visit us – whether you´re new student diver or an experienced diver. It doesn’t matter if you want to try scuba diving for the first time for yourself or with the whole family, it will be an experience you never forget. If you decide to visit us with your diving group we can cater for all your needs and wishes.  For qualified divers we offer some excellent diving places from wrecks to caverns. After a fun day diving you can relax with a gin and tonic at the Moonlight Terrace Bar and watch the sun disappear beyond the horizon. 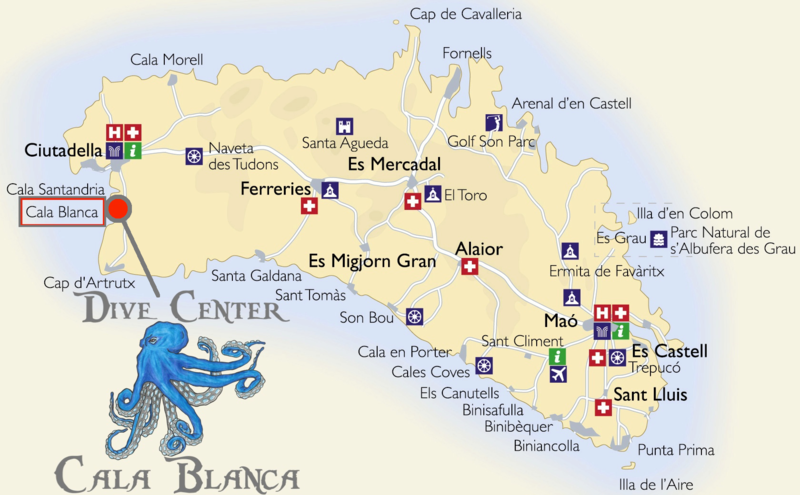 Menorca is a spectacular place to dive in crystal clear and warm waters. Amazing caverns and wrecks as well as many swim throughs, nooks and crannies are waiting to be discovered. The water temperatures range from 16°C in May up to 28°C through to September and October. The visibility in Menorca is spectacular – the water is so clean that you can see up to 20 meters and more! 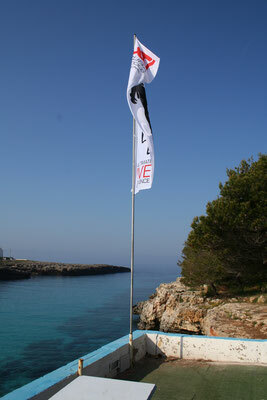 On top of that, Divers in Menorca are very privileged because there are hardly any currents or surge. Dive with our friendly and experienced guides - no rush and so big groups, just relax and enjoy! Come with us and be whisked away by an magical under water world!